This is the kind of work which presents so many irremediable lacks of method that it would be impossible to list all of them here. 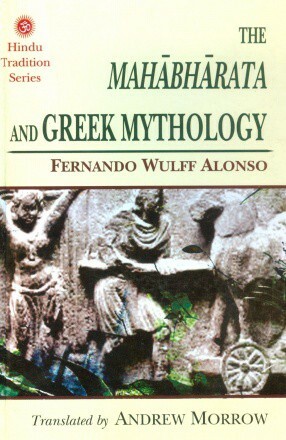 The author’s hypothesis is that the Mahābhārata was composed using a great quantity of Greek epic materials, and that this Greek repertoire was used by the Indian composers “in a brilliant way” for creating this “new and unique work” (which could nearly correspond to the translation in Indian language of the Homeric poems as referred to by Dio Chrysostom, 53,6-7). The problem does not really lay in the a priori of preferring, in front of a series of corresponding motifs and contents between the two narrative traditions, to explain them through the borrowing rather than through the more commonly accepted scheme of “Indo-European heritage” (whatever would be the conception of such an “heritage”, viz. according to a more speculative belief in a IE “proto-culture”, or a more descriptive structural approach without genetic or reconstructive perspective). The problem is firstly to not give any historical element allowing to support at least a bit the existence of intensive cross-cultural contacts which should have existed somewhere in (North) India (e.g. in a royal Court) between Indian (viz. brahmins) and Greek (Yavana/Yonaka) litterati - the contrastive example of classical influences in Gandharan art is obviously of a totally different nature (purely esthetic or formal models, versus narrative, litterary and ideological complex contents - “an amount of Greek material vastly superior to the one we have nowadays” [sic] - as supposed in the author’s hypothesis). Moreover, it is not because the author makes the choice to promote the explanation by borrowing that he has the right to scientifically neglect all the studies which have been made in an Indo-European or -Greek perspective: for nearly all the points he alleges as comparative evidence have already been underlined by scholars. However, except N. Allen, he does not quote any of them (for taking only one example, the corresponding motif of the divine plan of destruction of the heroes has been variously examined by Köhler 1858, Pisani 1953, Dumézil 1968, de Jong 1985, Vielle 1996; same with the comparison Helen-Draupadī, etc.). The author appears to not possess any serious literary knowledge of the Indian textual sources, and even in Classical philology he seems to not know some fundamental works on Homeric and Cyclic epics related to the points he deals with (e.g. Severyns, Jouan etc.). Finally, in looking more closely at the comparisons themselves, which are in fact limited to the general circumstances of the great war and a few other peculiar motifs and characters, their superficial nature is astonishing : the author proceeds through arbitrary selection and over-simplification, able to even make similar what is intrinsically different by qualifying the “copy” as not “literal” (or a free “interpretation” of the model), which allows him in many cases to compare apples and pears.